A couple of weeks ago we posted the newest Choice Hotels bonus points offers for stays at select hotels in Canada. They have two bonuses running at the same time. One for 1,000 bonus points per stay or 5,000 bonus points for a stay of 3+ nights. When exploring the offers these bonus points packages do not tack an extra cost like those we see from IHG or Hyatt. Now the packages price out at the best available rate amount which is typically higher than the AAA rate which not everyone can use, the Choice Privilege Member Rate or the advance purchase no cancel no refund rate. We value Choice Privileges Points around a penny each so those 1,000 points would be equal to about C$10. The discount rate above is the AAA/CAA rate and the advance purchase rate which is $12 lower than the 1,000 point rate or a better deal than the $10 in points you get. However the bonus points rate is better than the member price and compared to the advance purchase rate the bonus points rate can be cancelled right up to the date of the stay. Same pricing as the Ottawa hotel where the discounted rates are $12 less per night. Over 3 nights that is $36 cheaper than the package rate however the package rate gives you 5,000 bonus points worth ~$50 so you are actually coming out $14 ahead with the bonus points package. In general for a short one night stay you are probably better off with the AAA rate unless you can't utilize that rate. For almost all other situations, unless you want to book a non-refundable no cancellation rate, the bonus points package makes total sense. Perhaps your business travels take you to these locations and you aren't paying for those stays, your employer is, and as they say in the industry the bonus points packages are 'screw your employer' rates where you get all the bonus points but you aren't saving the company any money. In the case of Choice Hotels I wouldn't really call it screw your employer since they aren't charging more than the best available rate. That phrase can be held more for those chains that do charge more than the best available rate to get bonus points or miles. 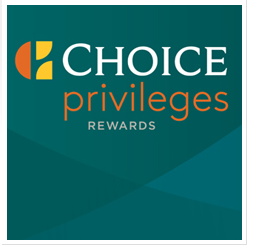 Remember to also sign up for any Choice Privileges global promotions as those can be earned over and above the points earned on the above packages.